A preview of fiction titles we’re looking forward to in the next nine months. Don’t Forget! Although this is the final “regular” episode of Books on the Nightstand, there will be an episode 390 – filled with hilarious bloopers! If you’d like to join the mailing list for possible future BOTNS news, but can’t enter the sweepstakes because you live outside the US, you can sign up here. Tell me what to read this summer! Go here to vote on which of six titles I’m embarrassed to say I still haven’t read I should read before Labor Day. 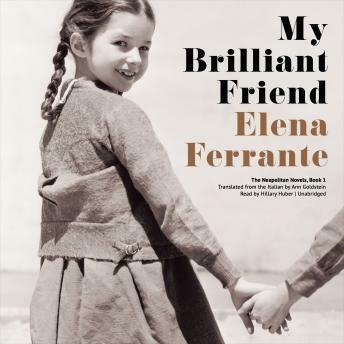 My Brilliant Friend by Elena Ferrante, narrated by Hillary Huber, is Ann’s pick for this week’s Audiobooks.com Audiobook of the Week. That brings us to the end of last full episode of Books on the Nightstand. THANK YOU to all of you who’ve been with us on this bookish journey, whether from episode 1 or episode 389. You have all made this worthwhile!